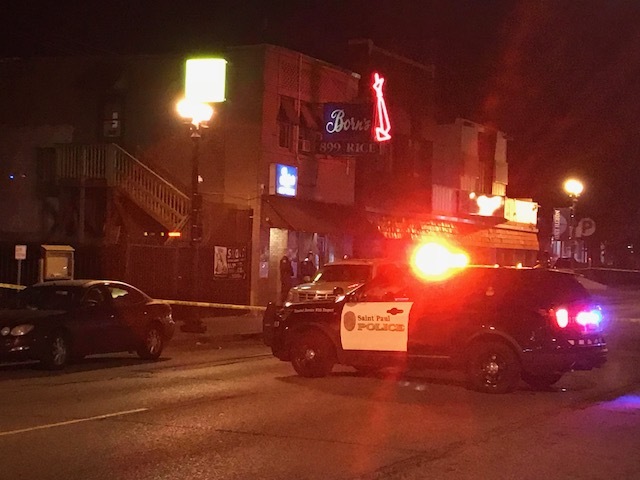 Saint Paul police are investigating a shooting that left one man dead the night of Wednesday, Oct. 17. Officers were dispatched to the 800 block of Rice Street at about 11 p.m. on a report of shots fired and a person shot. When officers arrived, they located an adult male victim suffering from an apparent gunshot wound. They also found and recovered two handguns at the scene. Saint Paul Fire Department Paramedics were called to the scene and transported the victim to Regions Hospital, where he later died. An adult male suspect, who called to report the shooting, was detained at the scene and brought to headquarters for questioning. The department’s Forensic Services Unit is actively processing the scene for evidence., and investigators with the Homicide Unit are interviewing possible witnesses. The Ramsey County medical examiner will positively identify the victim and determine an exact cause of death. This information, along with any updates on the case, will be released on the Saint Paul Police Department Twitter account, @sppdmn. This is the 14th homicide in Saint Paul this year.